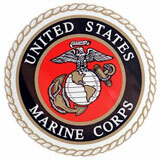 Add that Marine Corps touch to your vehicle with decals and stickers from eMarine PX. 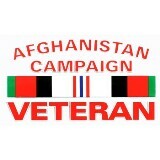 We have a great selection of bumper stickers and vinyl decals for specific war era's, family members, units, locations, and a whole lot more in all shapes and sizes. 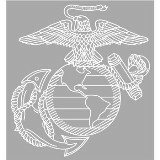 These USMC decals and stickers are the perfect way to spread some patriotism on the road. 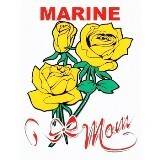 They also make great gifts for a veteran, a marine mom, or a family supporting a father or mother in the field. 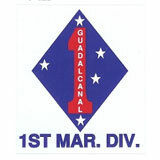 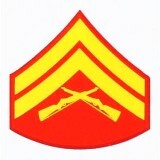 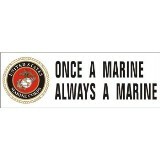 Browse our huge selection of family specific USMC stickers.